Still looking for the "magic trick" that will make you get along amazingly with your coworkers? If your answer is yes, I'm sorry to say that it won't be so easy to find, but while you're looking for it, would you like to get the results you want from now on? If you have said "of course", I am very happy with your answer, and I answer you saying that I have the solution to your situation. 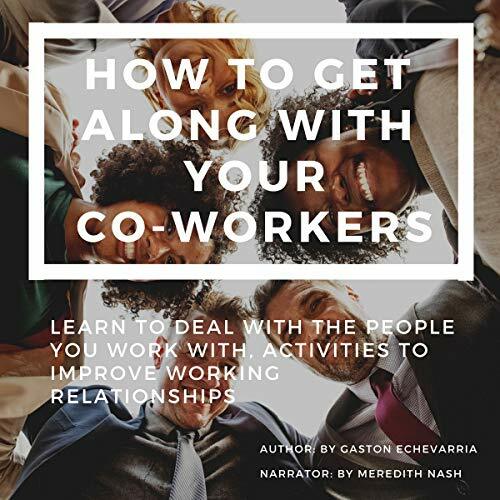 You'll get everything you need to know to eliminate the stress generated in the work environment. Practical ways to quickly and easily implement solutions to your work-related anxieties and furies. You will feel how all your work is transformed into a sanctuary of harmony. Teach your children by example about the importance of good relationships with people. You will no longer suffer from nerves in your life because your mind will be calm and in absolute control. Your mind and body will be more relaxed. You will enjoy much more your relationships with your coworkers, family, and friends...and many more benefits! By the way, you'll be a more attractive person.... Don't worry, you won't have to put on makeup or start any extreme diet or any Viking exercise routine; thanks to the changes your mind will have and consequently your habits, you will see yourself as a person of very high value. Yes, and that happens because when you take control of your life, everything seems simpler.